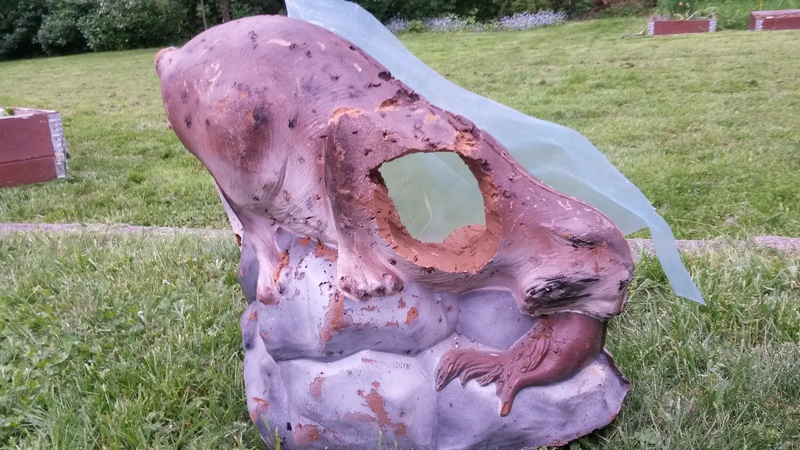 Below you will find a number of Before/After pictures showing 3D targets repaired by us using the 3D target repair material. 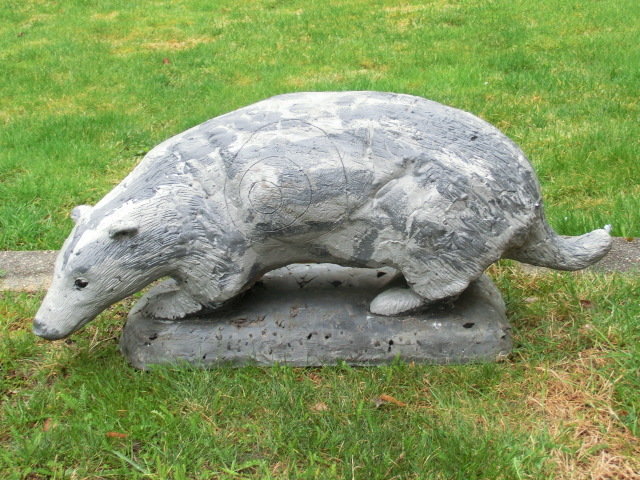 Javelina and Badger where big repairs because the original material was all gone. The targets were deemed not usable for competition before the repair and you can see the Javelinas 8 ring area during the preparation stage. 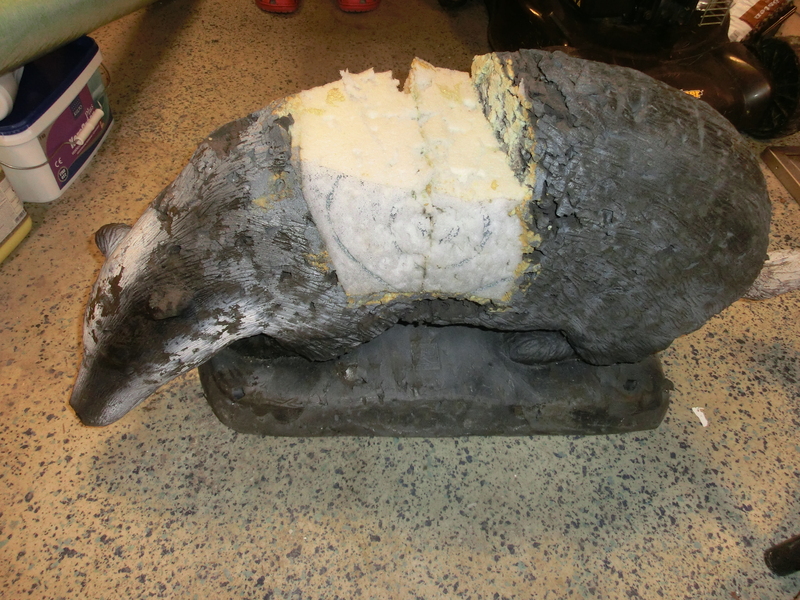 Previous repairs on Javelina were carried out on both sides, the previous material (seen in white) was glued on and the 8 ring area had to be cleared through the animal to get to solid material. 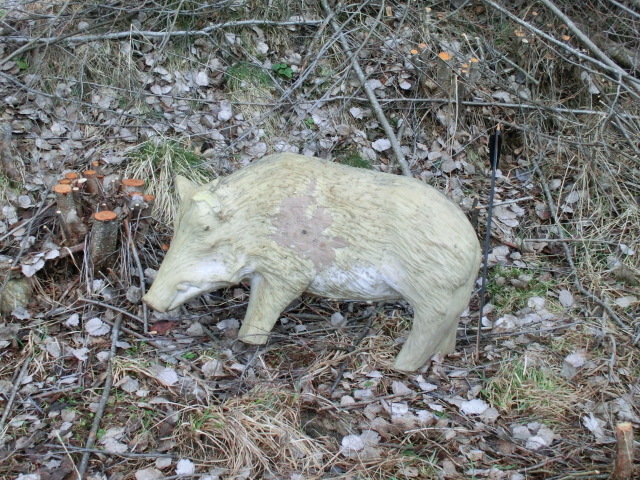 Javelina is currently serving as a competition target in one of the local archery clubs. Badger is one of our demo targets. Bobcat “before” picture shows the target cleaned and prepared for pouring and the “after” picture shows the target repaired. 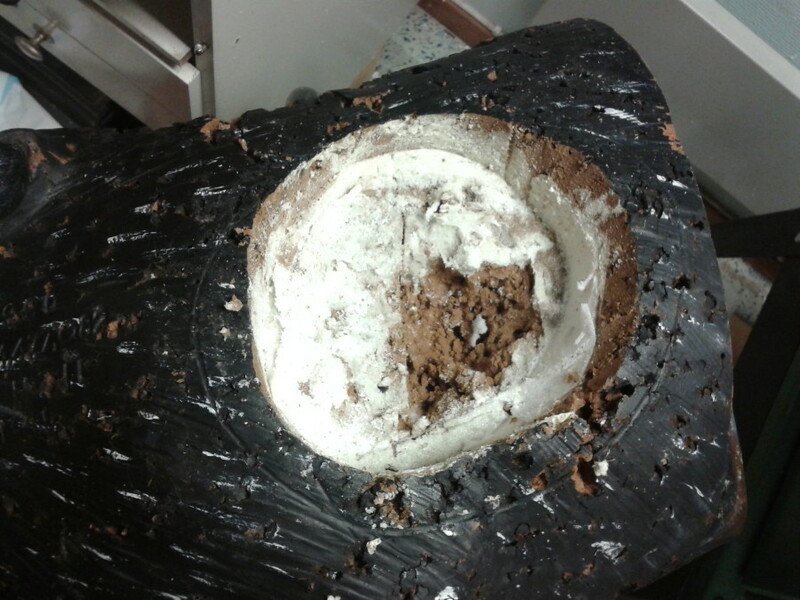 Apart from the vital area the target got its tail back. 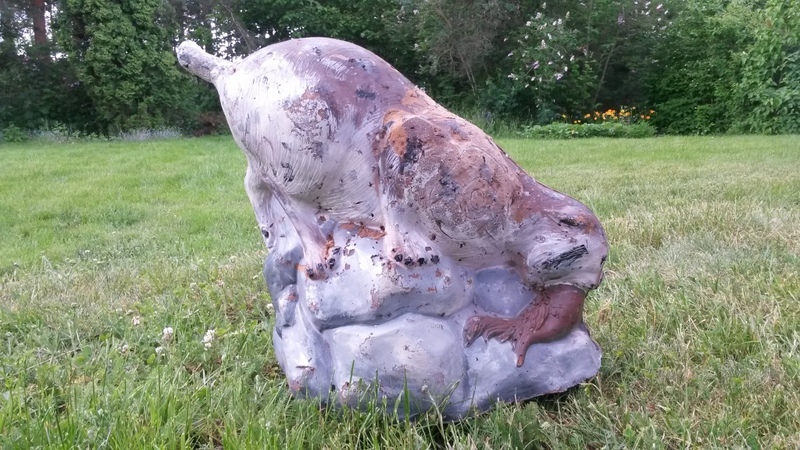 Bobcat is available. 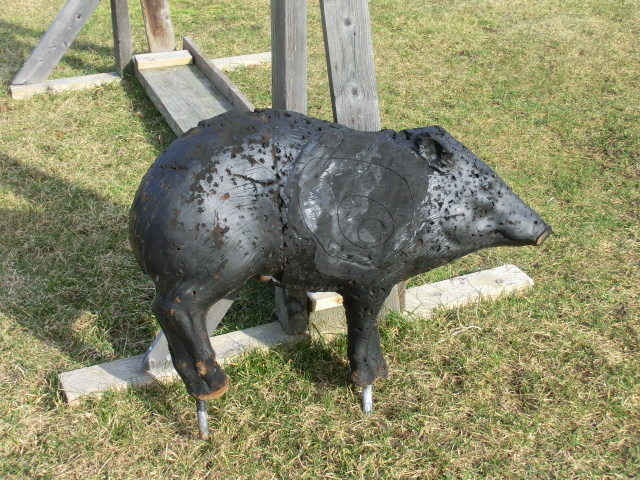 The light colour pig was repaired only on one side and serves as a training target in a local archery club. All targets have IBO rings cut in them.